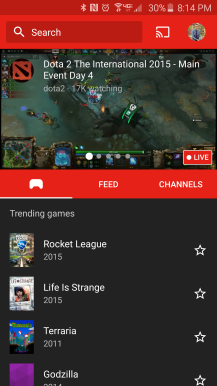 A couple of months back, YouTube's intent to launch a gamer-focused video streaming service was revealed. And so we waited. 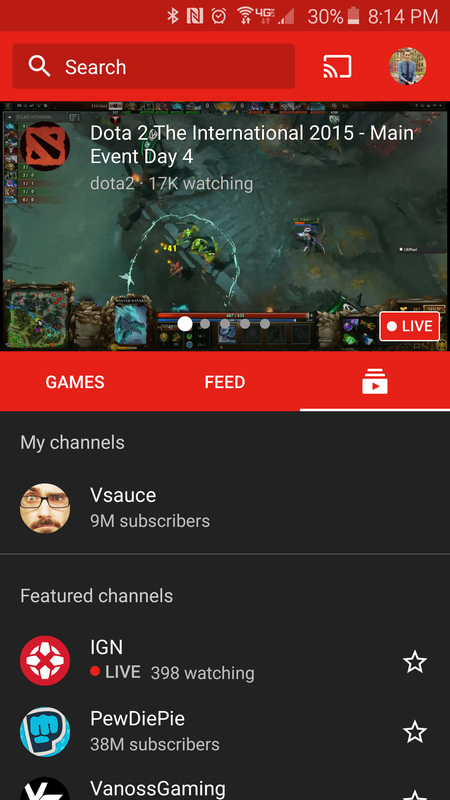 Now that the appropriately named YouTube Gaming is finally here, it plans to go head to head with Twitch.tv - easily the most popular such service in the world. 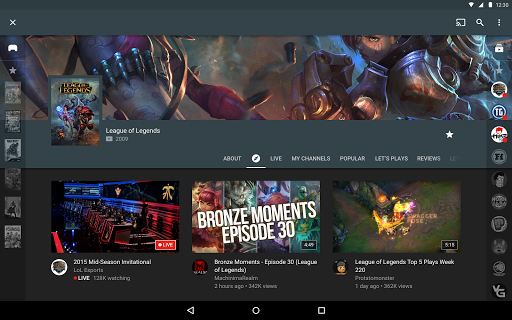 Google has a tremendous amount of experience in the video streaming space in the form of YouTube, but it has never offered anything that was geared toward gamers. 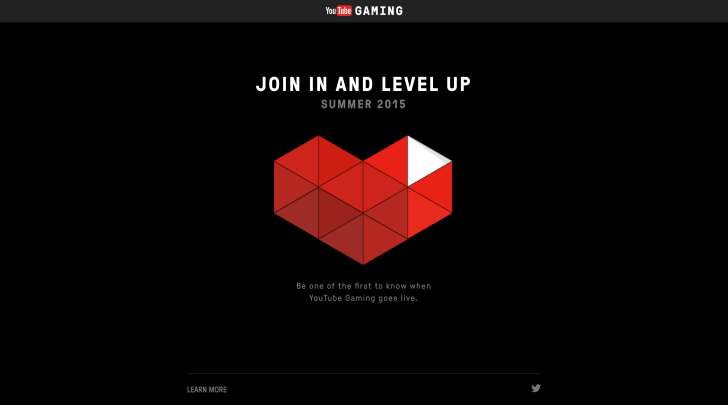 YouTube Gaming is hailed as the brand-new service that aims to fill that gap. 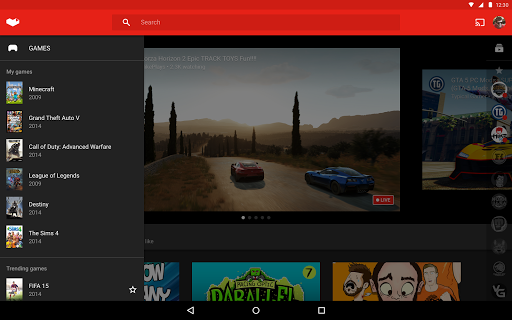 Currently, YouTube Gaming is only available as a beta program. Invitations are being sent out slowly, and there's not a set date for a full launch yet. Since I currently am not in the beta program I do not have access to the web app, which displays a heart for users to play with. Fear not though, because the Android application is available and works for anyone who has it installed. This version is a creator preview, so it is possible that there may be some changes before the full version is launched. Let’s jump right in. 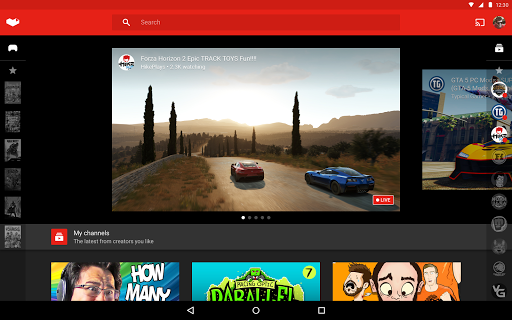 YouTube Gaming, as its name implies, is aimed directly at gamers, and makes it easy to find your favorite content. The first time I opened up the application I had two things jump at me. One, the application is all about games. Two, the material design looks stunning, especially with a dark theme. 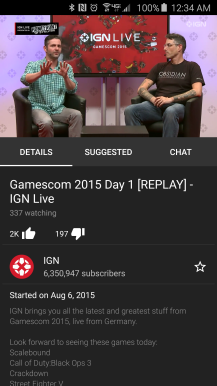 The app opens up directly into your feed and shows you a list of the most popular live streams. Above this list is one of my favorite features of the application - a carousel of live streams that play as you are navigating through videos. Some of them take a few seconds to load, but I think it’s a great way to get users engaged with popular content. Apart from your feed, you also have your games and your channels. As you can probably guess, these two tabs have a list of games and channels, respectively. The games list starts with the top 10 trending games, and is followed by a list of popular games. 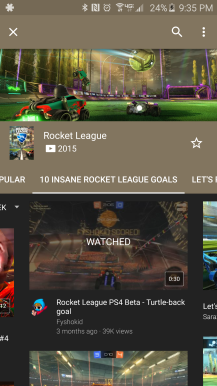 Google says that there are videos for more than 25,000 games, which is an enormous number at launch. The list of most popular games holds no surprises; Minecraft, Grand Theft Auto V, and League Of Legends sit at the top. Users are easily able to add games to a personalized list by tapping the star on each item. Each game also has a dedicated page which contains information about it, and an array of categories for filtering through videos. All games share a few categories, such as about, explore, live, popular, and review, but some games also have specialized categories. 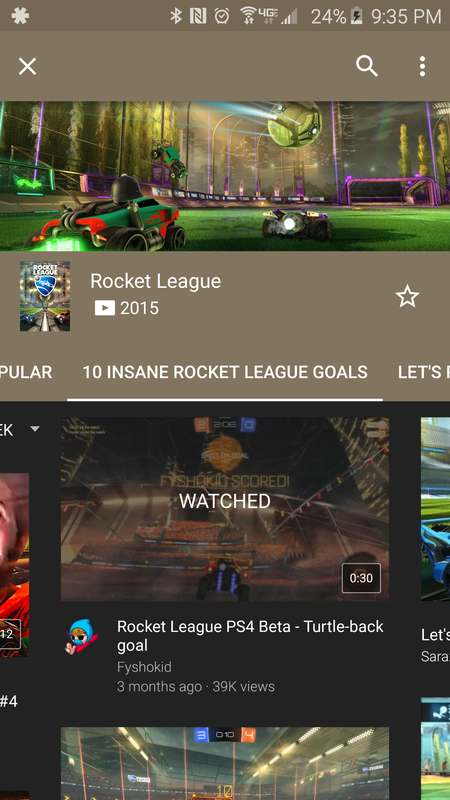 For instance, Rocket League has a 10 Insane Rocket League Goals section, and Minecraft has a cosplay section. Each game also has a tab that shows videos from its developer. 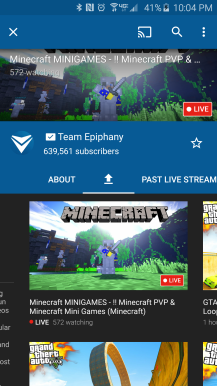 Channels are very similar, but they have content that is sorted by creators instead of games. 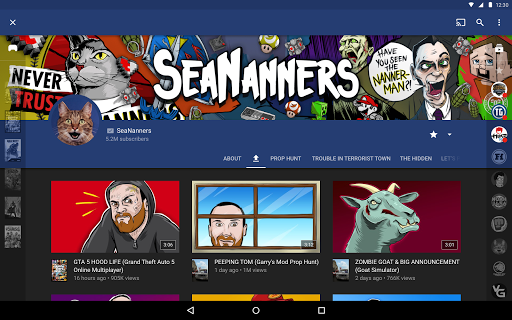 There is a list of your own favorite channels and one for featured channels. The same favorite system that is seen in games is also applied in channels. Dedicated pages are available for each channel, which contain many different categories depending on what channel you're looking at. YouTube Gaming imports channels that you are subscribed to on YouTube, but only if they are considered a gaming channel. This will hopefully reduce the amount of time users will need to spend finding and subscribing to their favorite YouTube creators. 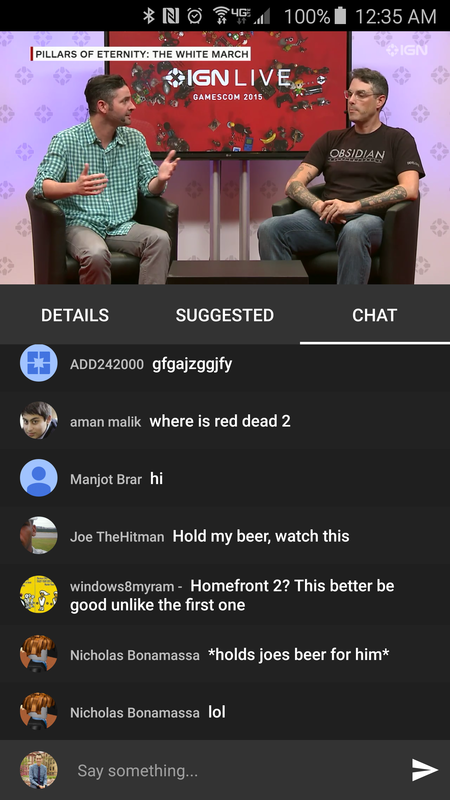 Overall, there are a lot of different ways to explore content, whether it be going through a list of games or channels, or seeing something exciting in the live preview carousel. If you are looking for something specific, there is a search bar or search icon that is available on every page of the application. Google did a great job in organizing this app in a way that encourages users to explore and find new content. As I mentioned before, one of the first things I noticed when I opened up the application was how beautiful and clean it looked. 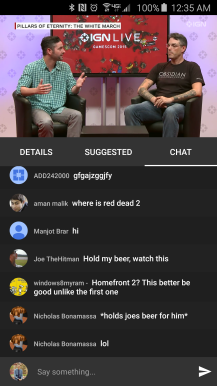 The red color scheme that we all know from YouTube is present all over the YouTube Gaming application, giving it a very familiar feel. The big distinction is that YouTube Gaming uses a dark theme, which I personally think should be an option in every application. The animations, transitions, and flow throughout the entire app provide an amazing user experience. When moving to another tab on the main screen, you are served with a beautiful animation of the word turning into an icon, and back again when you move away from your current tab. A hero animation is present when opening up a video, but is absent when navigating into a dedicated game or channel page. 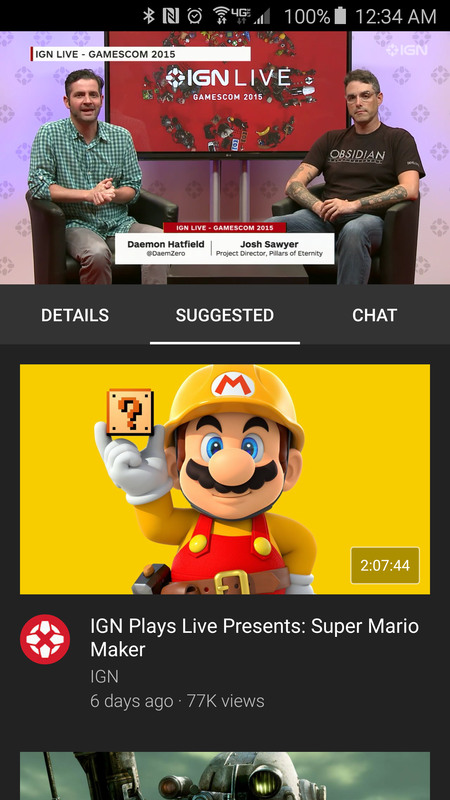 After spending some time with the app you'll notice that there are little splashes of color everywhere, and by little splashes I mean the entire UI changes its primary color depending on what game or channel you are currently looking at. The color that is selected is based on the cover of the game or the icon of the channel, which adds a touch of personality to every page. The application is very quick, I actually found it to load faster than YouTube in most instances. Chromecast support is built-in right off the bat, which makes sense since the entire app is aimed at people who want to watch content. 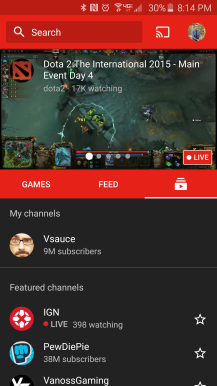 The video viewing experience in YouTube Gaming is almost identical to YouTube, which is expected in an application with very similar functionality. When watching a video, you are able to throw the video towards the bottom of the screen and navigate throughout the app while the video is minimized. Swiping it to the side kills the video and swiping up brings you back to the video. While watching a video you're given the options to view its details, other suggested content, and enter the chat room. My experience with the chat feature is that it consists of more spam than actual conversation, but that seems to be normal in real-time public chats on the Internet. For those of you who love watching games and own a tablet, you're in luck. 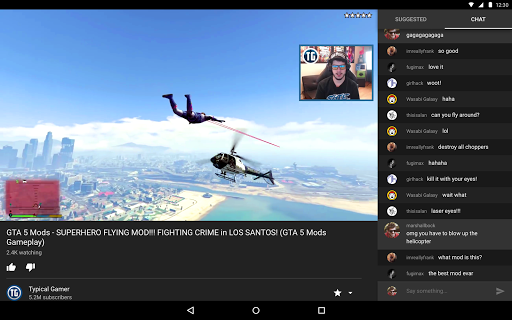 YouTube Gaming is tablet optimized, which means you get an experience that isn't just a blown up mobile version. All of the functionality that I have discussed above is available to tablet users, but there are some noticeable design differences. 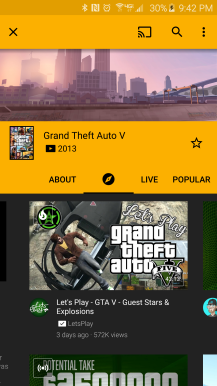 The game and channel tabs are gone, and these sections are moved onto semi-transparent ribbons along the sides of the application. This allows you to easily navigate to your favorite content from nearly everywhere in the application. I'll let the pictures do the rest of the talking about the design. Other notable features include live-stream notifications from your favorite creators, and live-streaming of events such as E3, Pax, and Gamescom. I think one of the biggest challenges that YouTube Gaming faces is convincing users to switch over from other game streaming services, namely Twitch.tv. The number one complaint I have heard from people is that their favorite streamers aren't using YouTube Gaming yet. 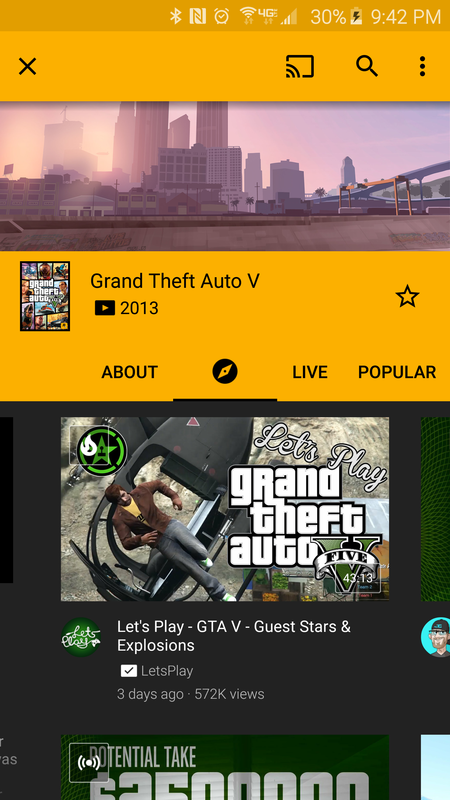 Currently you need to be a part of the beta program to stream, so it is likely that more and more creators will start using YouTube Gaming once it becomes a public service. Google says there is already a community of more than 100 million creators and gamers, which is a huge user base for a new service. If the end goal is to become the de facto place for streaming live games, then their work is laid out for them, and I look forward to the full public launch. 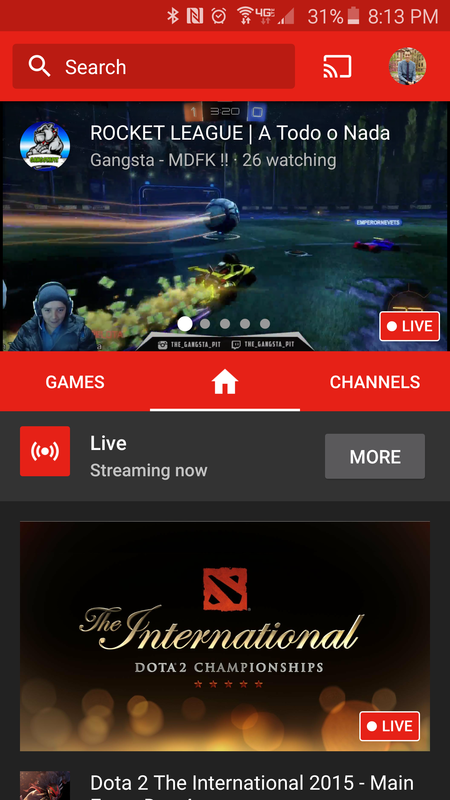 The YouTube Gaming APK is available right now over on APKMirror (you don't need to be in the preview to use it). I highly suggest trying it out if you have any interest in games. After all, it is a service that is made for people who love games.